Just a few days ago, the British Deputy Prime Minister Nick Clegg stated on national television that there needs to be more funding for treatment and understanding of depression. While Nick acknowledged the need for funding for other conditions such as cancer, there seemed to be a reluctance in the NHS to address depression as a significant social issue worthy of more funding. Depression has devastating consequences for individuals. Left undiagnosed, misdiagnosed or untreated depression diminishes lives and makes a person more susceptible to other illnesses. The news article suggested the approach to alleviate depression involved therapies including meditation and awareness. The implication is that depression can be confronted by means other than tablets. Medication can provide short term stability that leads to diminished symptoms of depression. 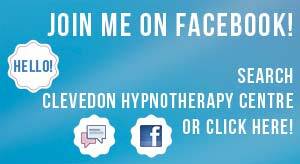 Hypnotherapy can help a person with mild or serious depression diminish and manage their emotional states thus diminishing depression. Recognition of depression is becoming a national mental health priority.